To celebrate the February release of Seances & Suplexes I am doing a month long blog tour to promote my Ring Dreams series and offering the first two books in the series for free during a limited time through Amazon. February 2nd I will be visiting Lynn Chantale's Decadent Decisions blog. February 3rd you can find me over at Mike Woody's blog being probed about my writing and wrestling connection and the whole witch thing. February 9th I'll be at Every Day Is An Adventure. February 15th I'll be visiting with Lila Munro. February 16th my Ring Dreams series will be in Lia Davis' Book Spotlight. February 17th I'll be blogging over at Books-N-Kisses. February 20th I'll wrap things up at You Gotta Read. 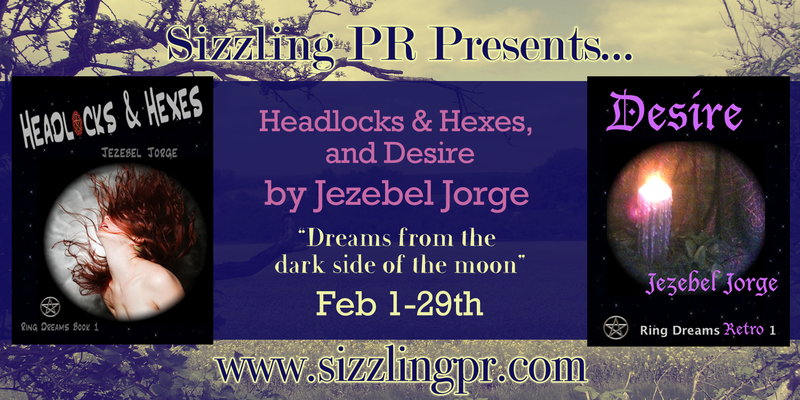 Please check back later this month to find out which days you'll be able to download Headlocks & Hexes and Desire for free from Amazon.